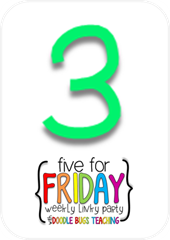 This was the Monday-est Friday ever! No joke! 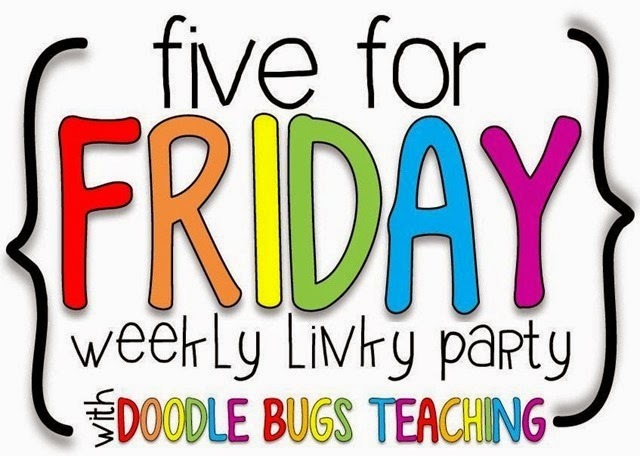 But...it's finally here and it's time for Five for Friday with Doodle Bugs Teaching. Perhaps....the week has been long because it started like this..
That cat is obsessed with opening doors. He can't stand them closed. Since the cat and the dog don't quite see eye to eye, Jack opens the door, thereby waiting....just waiting.... for Bentley and that beagle nose to do the rest and get into trouble. It's not Bentley's fault. He can't help it. I think Jack's hoping we'll get rid of the dog if this happens enough. At least 3-4 times a week because I my husband keeps forgetting to put a chair or something in front of the cabinet door. So there you have it. Bentley was framed. And for the record- I will never, not EVER get rid of the dog. In other news, my son Tyler who is 10, is obsessed- and I do mean obsessed-with wrestling. He spends every waking moment reading about it, acting out wrestling, talking about it, etc. Tyler usually goes in phases with things but this one has been sticking. As my husband says. "This wrestling thing has legs." And you know what....I'm kinda ok with it. 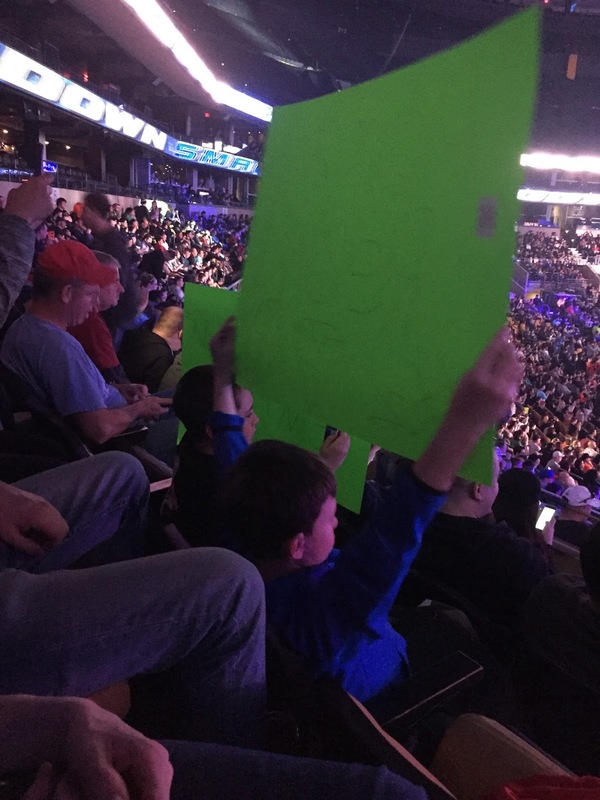 I looked up John Cena when Tyler started taking such an interest and he is a really admirable guy. He went to college and fulfills more "make a wish requests" than any other celebrity. His motto is "Never Give Up" and "Hustle, Loyalty, Respect." 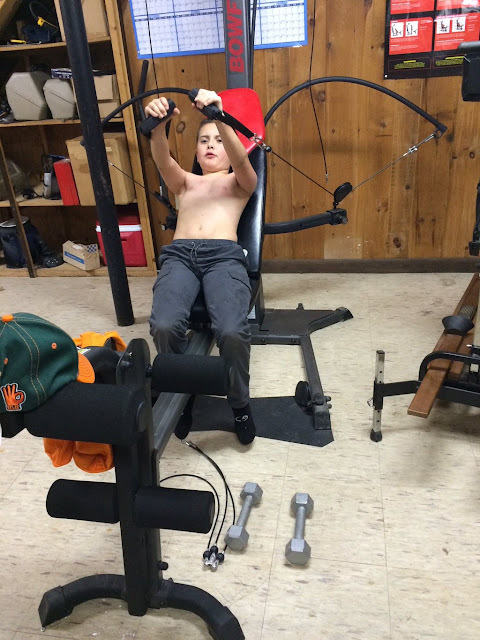 My son who is dyslexic, has learned a lot of "grit" from this guy. I term Cena a lot when I need to encourage Tyler to plug along. These two boys who are both dyslexic (so reading and writing is so hard for them) spent hours making posters. It was the cutest thing ever. Seriously. Rack this right up there with things you never thought you'd do in your life. 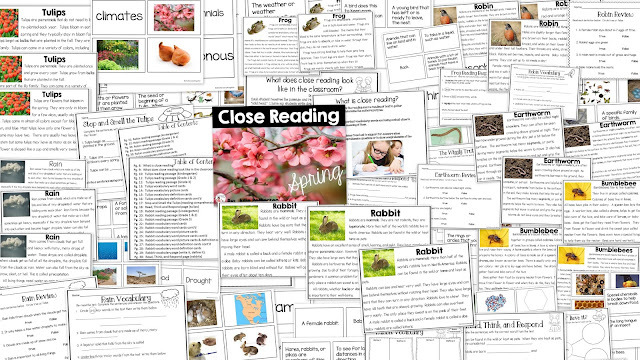 In my classroom, We have been reading up a storm in first grade using my spring close read. The kids are really enjoying them. 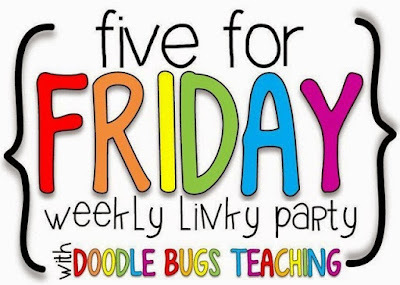 They are differentiated so they are perfect for small group instruction. 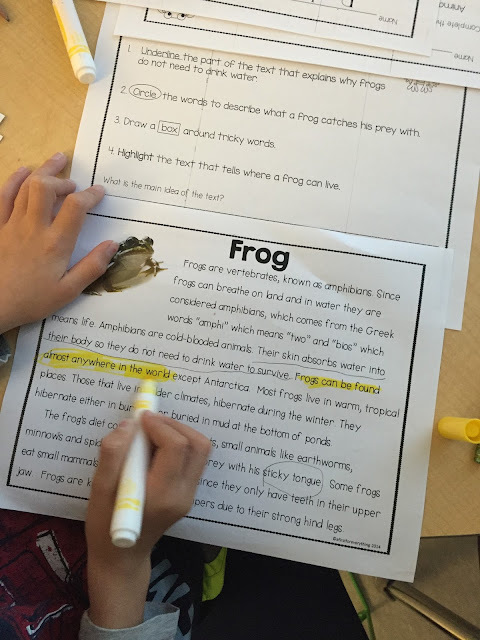 Identifying tricky vocabulary words and finding key words and details within text is such great practice for them too! We are also learning about wants and needs this week and I found this awesome unit by Cara's Creative Playground which my students and I are really enjoying. We are also learning about coins and since our math curriculum doesn't cover coins and it is a standard in Massachusetts, we do a lot of supplementing. 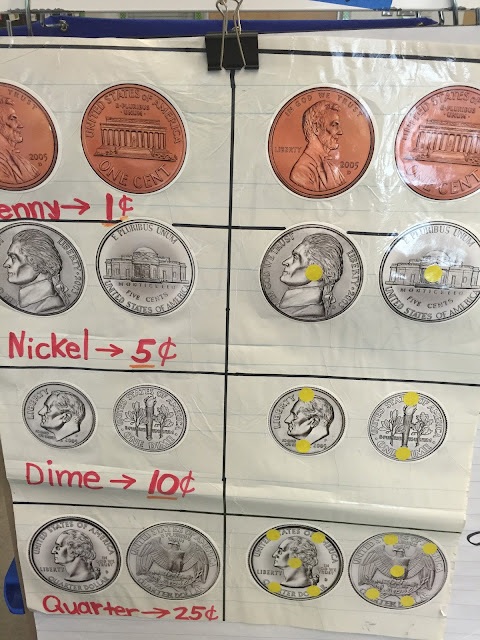 My students do really well with this Touch Money system which is super easy to make with coin cut outs and sticky dots. The sticky dots represent counts of 5. Since coin recognition can be so tricky for the young ones since the coins look so much alike (especially once they are photocopied) this added visual is really helpful! How has your week been? Did you survive "April Fools"? 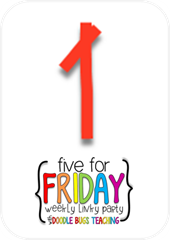 Just barely, my friends....just barely. I don't even think I can stay awake until dinner. Ooh! great vocab wall! Love all the activities you shared! Have a great weekend and get some rest! 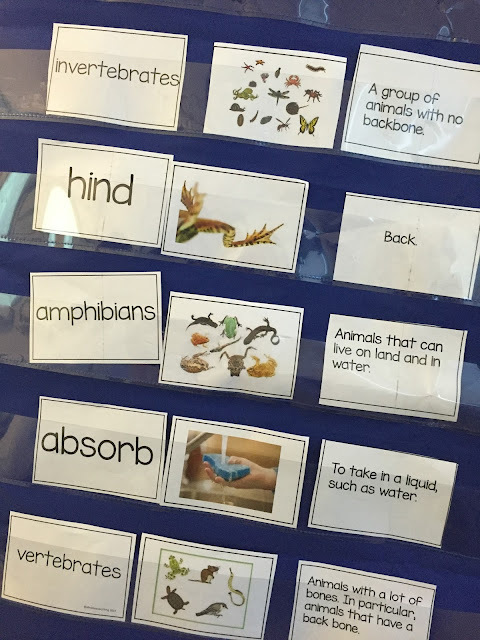 I love the vocabulary cards! What a great visual. I just barely made it out alive today, too. Between April fools and the change in the weather here, the kids were bonkers! I hope you're able to rest up tonight. You have a very clever cat! I love your close reading passages! Happy Weekend! 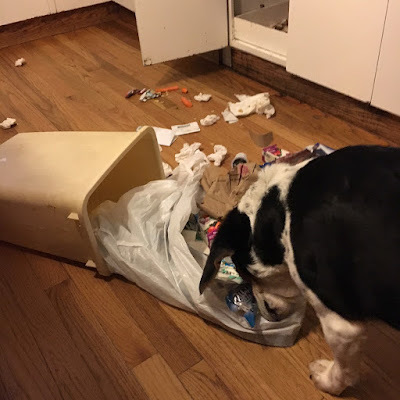 Yes, your Beagle was framed! I had Beagles in Massachusetts as a wee one! I am now a Cali girl. Does Massachusetts not follow Common Core? 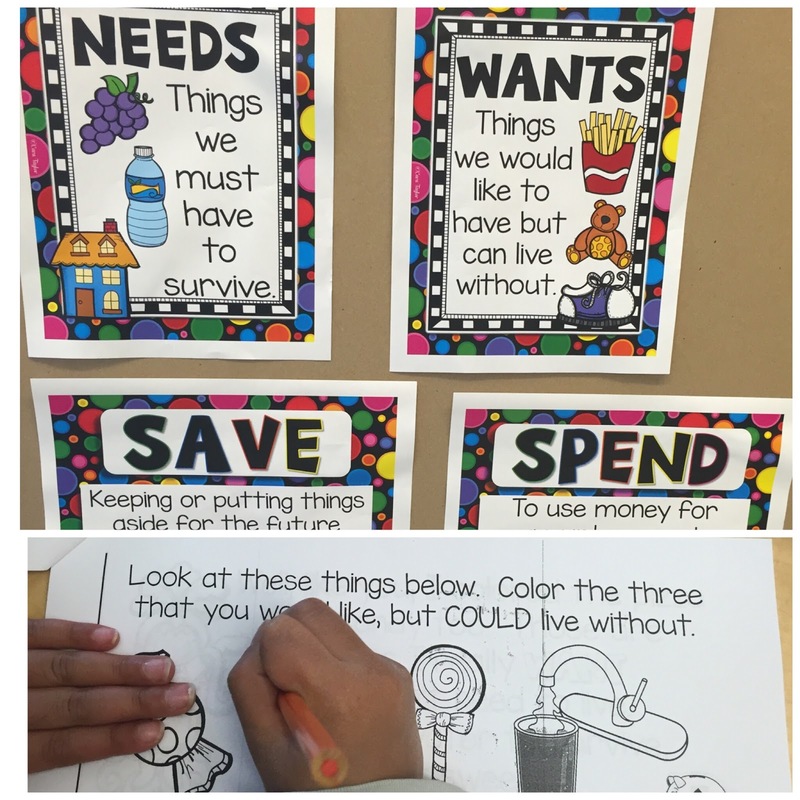 Love the activities you shared, and the story about the boys making posters is adorable! Hope they had a blast!